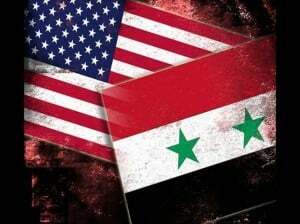 One week after the reelection of President Barack Obama, the drumbeat for war against Syria has escalated sharply. Over the past two days, military threats have escalated on both Syria’s northern and southwestern borders, with Turkey threatening intervention and Israel repeatedly firing on Syrian forces, allegedly in retaliation for stray shells that have landed in the Israeli-occupied Golan Heights. Simultaneously, Washington has plowed ahead with the sordid business of fabricating a new “sole legitimate representative of the Syrian people.” This was placed on the agenda after US Secretary of State Hillary Clinton’s announcement at the end of last month that the last body to be so anointed—the Syrian National Council—had turned out to be a bunch of out-of-touch exiles who needed to be replaced with more representative figures, handpicked by the American State Department. The new, and supposedly improved, body has been dubbed the National Coalition of Forces of the Syrian Revolution and Opposition. While Washington officials have obscenely compared it to the Continental Congress of the American Revolution, this coalition is nothing more than a front for US imperialism, cobbled together by means of threats, bribes and blackmail. The leaders of the old Syrian National Council, which was largely dominated by the Syrian branch of the Muslim Brotherhood, had strenuously objected to having their outfit unceremoniously wound up. After days of wrangling in a luxury hotel in the Qatari capital of Doha, they were brought on board, having been promised 40 percent of the seats in the leadership. In the end, while Hillary Clinton made much of putting together a more “representative” body to serve as a front for the US-backed war for regime-change, the new coalition amounts to the same gang of thieves, intelligence agents and Islamist politicians, refurbished with a bit of “diversity.” Seats in the leadership have been reserved for minorities, including the Alawite sect, which are overwhelmingly hostile to the so-called “rebels,” and for women. There is no indication that any of these figures have any real connection with, much less control over, the sectarian militias, Islamic jihadists, foreign fighters and suicide bombers who are playing the principal role in waging a civil war for regime-change inside Syria. There is even less evidence that any of them have a base of popular support inside the country. Nonetheless, they are being sent on tour to seek recognition from the Arab League and the “Friends of Syria,” comprised of Washington and its allies, as the first step toward turning the coalition into a provisional government to be installed on “liberated” Syrian soil. Among the “principles” agreed to by those forming the new coalition is a commitment “not to take part in any dialogue or negotiations with the regime” in Damascus. This represents a direct US repudiation of the UN-brokered agreement reached in Geneva last June in which Washington committed itself to supporting “peaceful dialogue and negotiation” to bring an end to the civil war in Syria and a transition to a new constitutional order. US imperialism has no interest in such a settlement. It is determined to use military force and the intensification of the bloodbath being inflicted upon the Syrian people to install a puppet government subordinated to US interests in the region. A primary US aim in this military adventure is to deprive Tehran of its main ally in the Arab world in preparation for an even bloodier war against Iran itself. While the Israeli government is aligned with Washington in the buildup to war against Iran, the Israeli media has suggested that Tel Aviv views the civil war in Syria with ambivalence, given the Assad regime’s failure to challenge Israel for decades. The sudden retaliation over stray shells falling on Israeli-occupied Syrian territory in the Golan Heights, however, suggests a shift in this regard, in all likelihood coordinated in advance with Washington. The Israeli military fired a guided missile into Syria on Sunday and tank shells on Monday, claiming to have scored “direct hits” on Syrian forces. To the north, Turkish F-16 fighter planes flew threatening sorties along the Syrian border on Monday in supposed retaliation for clashes that have taken place between Syrian security forces and the Western-backed “rebels” in the border area. Ankara last month vowed that it would take military action in response to any Syrian shells landing on its soil. Turkey is in talks with both the Obama administration and NATO on escalating the intervention in Syria. NATO’s secretary general, Anders Fogh Rasmussen, announced on Monday that “Turkey can rely on NATO solidarity,” citing “plans in place to defend and protect Turkey.” The statement follows reports that Ankara is seeking the deployment of US Patriot missiles on the Syrian border, a first step in imposing a “no-fly zone” and carving out a so-called humanitarian buffer zone in northern Syria. In a further indication of the steady advance toward military intervention, the chief of the British defense staff, Gen. Sir David Richard, told the BBC Sunday that Britain is preparing to send troops into Syria this winter under the pretext of humanitarian aid. “There is no military reason why one shouldn’t, and I know that all these options are quite rightly being examined,” he said. Once again, the American people, and the entire world, are being dragged into a war of aggression based on lies and false pretexts. A war against Syria will be waged to further not “humanitarianism” and “democracy,” but rather the strategic aims of US imperialism in the oil-rich Middle East and the profit interests of America’s ruling financial and corporate oligarchy. The plans for another eruption of US militarism were concealed by both major parties from the public as they went through the motions of a national election that precluded any ability of the electorate to express its hostility to war. The struggle against militarism cannot be waged within the confines of the existing capitalist two-party system in the US. The task of stopping another war can be carried forward only by the working class mobilizing its own independent political strength in the fight for socialism.